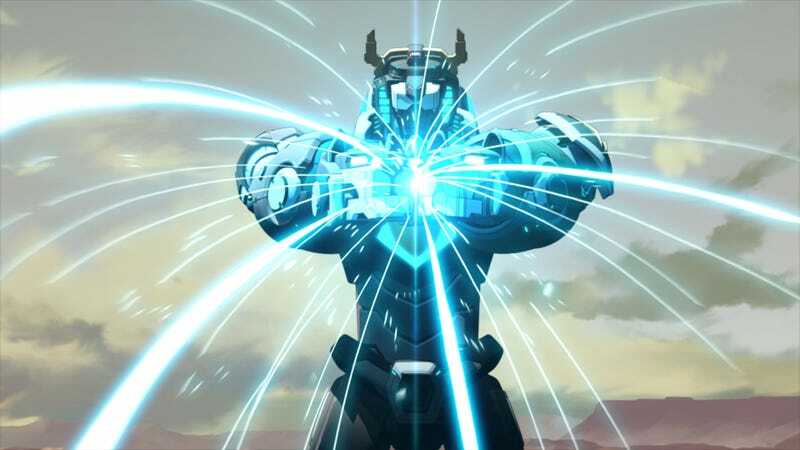 Netflix’s Voltron: Legendary Defender series has never shied away from throwing its characters into kinetic, thrilling action sequences, but from the latest look at the upcoming penultimate season, it seems as if the show is pulling out all the stops to up the ante even more. The paladins finding new personal strengths outside of their respective lions plays a major role in Voltron’s seventh season. Though they’re initially skeptical of their abilities—especially given that their most recent triumph over Lotor wouldn’t have been possible without the Robocats—it isn’t long before they realize that being apart from the lions is actually what forces them to become stronger. In this latest clip, Hunk and the rest of the paladins find themselves on the run from the Galra. Though their lions aren’t quite ready to bring their foes down, the chaos presents our heroes with an opportunity to take matters into their own hands. It’s easy for a show’s creators to claim they’ve always been building to the epic events in the current season, but it’s tough to deny that Voltron definitely feels as if it’s cranking the action up to 11. Here’s the wild thing, though: When the seventh season drops this Friday, it’s quickly going to become clear that there’s even more in store for Team Voltron that will blow audiences away.